With a clever range of side-splitting new material, Harvey performs one of his funniest and most memorable performances in front of church folks. That's right; Mr. Harvey keeps it clean and family friendly! No easy feat for one of the Original Kings of Comedy, but then Harvey's versatility is precisely why he's in a class by himself. 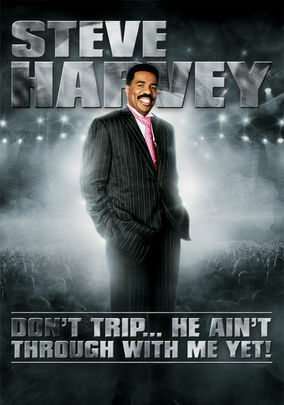 Tackling topics such as faith, family, preachers, and relationships with his trademark candor and sardonic wit, Harvey will have you laughing out loud along with the audience in this rousing stand-up special! This DVD is sure to become an instant classic. Honest and funny. Inspiring man.